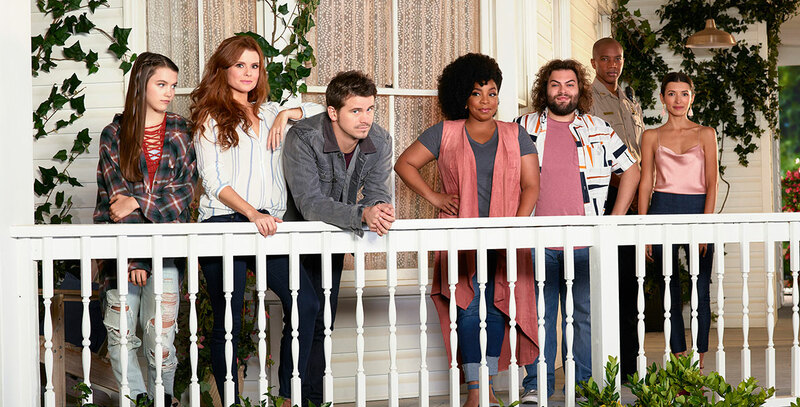 Kevin (Probably) Saves the World (TV) Hour-long drama series on ABC, premiering on October 3, 2017. Kevin Finn is not a good person. He’s not terrible, but he’s selfish and clueless and values material wealth and status over all else. And he is beginning to realize that those things aren’t making him happy—in fact he is fairly miserable. Just when things seem at their worst, he finds himself tasked with an unbelievable mission—saving the world. Stars Jason Ritter (Kevin Finn), JoAnna Garcia Swisher (Amy Cabrera), Kimberly Hébert Gregory (Yvette), Chloe East (Reese Cabrera), J. August Richards (Deputy Nate Purcell), Dustin Ybarra (Tyler Medina), India de Beaufort (Kristin Allen). From ABC Studios.